Today’s Guest: Jeffrey Gurian, co-author (with Richie Tienken), Make ‘Em Laugh: 35 Years of the Comic Strip, the Greatest Comedy Club of All Time! 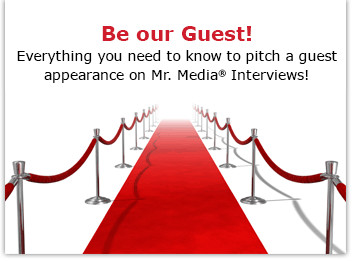 Watch this exclusive Mr. Media interview with Jeffrey Gurian by clicking on the video player above! Mr. Media is recorded live before a studio audience of people who passed Lucien Hold’s audition and still break into a cold sweat thinking about how stressful it was… in the NEW new media capital of the world… St. Petersburg, Florida! Order ‘Make ‘Em Laugh: 35 Years of the Comic Strip, the Greatest Comedy Club of All Time!’ by Jeffrey Gurian and Richie Tienken, available in print or e-book from Amazon.com by clicking on the book cover above! 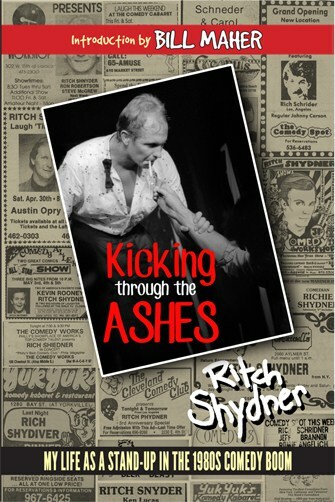 There are a lot of legendary comedy clubs in America and they come with equally colorful founders: Budd Friedman and the Improv; Mitzi Shore and the Comedy Store; Rick Newman and Catch A Rising Star; Caroline Hirsch and Caroline’s on Broadway; and Richie Tienken and the Comic Strip. They all have their own crop of talented standup comedians devoted to one over the other and one of them, The Comic Strip, now has a book devoted to lionizing its greatness. In Make ‘Em Laugh: 35 Years of the Comic Strip, the Greatest Comedy Club of All Time!, comedian, comedy journalist and Sirius/XM host of “Comedy Matters” Jeffrey Gurian and Comic Strip co-founder Richie Tienken interview dozens of comedians about their experiences and memories of the long-running club. Some, such as Jerry Seinfeld and Chris Rock, are reverent about the joint; others – okay, just Gilbert Gottfried is kind of a jerk about the place. But he’s Gilbert Gottfried, so I’m not sure what else to expect. The only voice noticeably missing from this oral history is Eddie Murphy, who got his start at The Comic Strip and was managed for many years by Tienken. The issue isn’t addressed, but it seems likely there are still some rough feelings simmering beneath the surface. Order ‘ Filthy, Funny, and Totally Offensive’ by Jeffrey Gurian, available from Amazon.com by clicking on the book cover above! But even without Murphy, Make ‘Em Laugh is packed from start to finish with history, laughs, and more than a few nervous moments – usually recalled by the comedians in regard to their efforts to be “passed” by the club’s late manager Lucien Hold. If you love comedy and enjoy the rare moments when comics such as Lisa Lampanelli, Ray Romano, George Wallace, Billy Crystal, Jackie “The Jokeman” Martling from the “Howard Stern Show,” Susie Essman from “Curb Your Enthusiasm,” “The Daily Show”’s Lewis Black, and Jim Breuer, take off the mask and talk about things that really matter, you’ll enjoy reading Make ‘Em Laugh. Joining me today to talk about his book is co-author Jeffrey Gurian. Gurian is a man of many hats, including comedian and host of “Comedy Matters” on Sirius/XM. He also is a regular every Monday with Sirius/XM’s “Ron & Fez,” talking about the world of comedy.